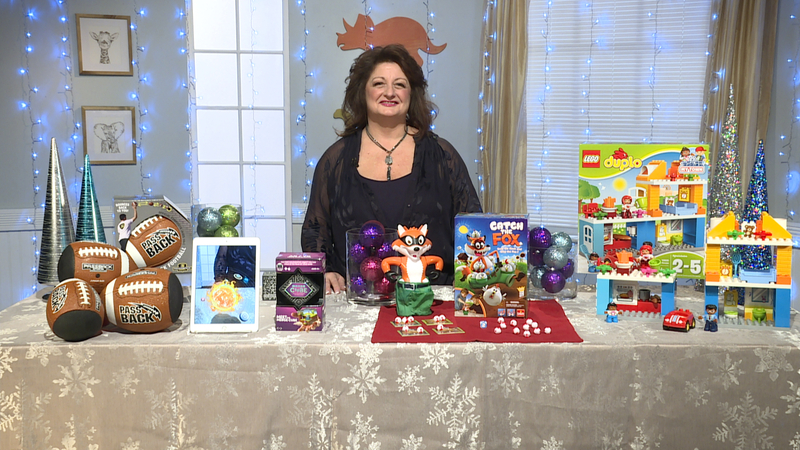 New York Toy Fair opens this weekend and our toy trend expert, Reyne Rice, has a sneak peek at some of the coolest toys this year! 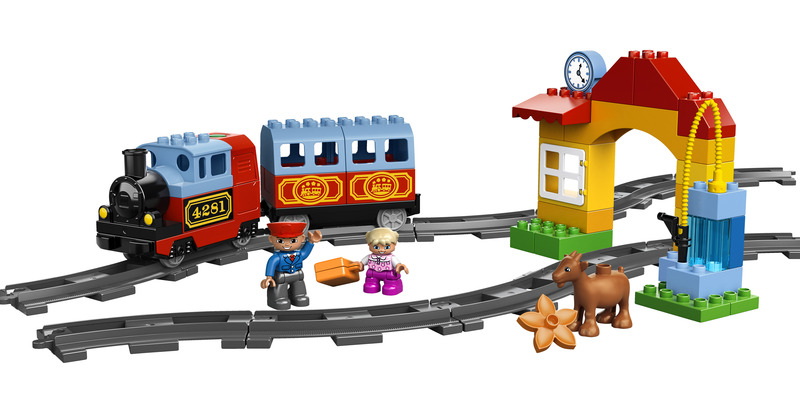 Lego continues to innovate toys for younger kids. The LEGO DUPLO Batcave Challenge lets Batman fans be their favorite superheroes and drive the Batmobile and Batcycle as they look for The Joker and Poison Ivy. Create fun action scenes using these LEGO DUPLO bricks that are two times the size of a classic brick to accommodate smaller hands and help develop motor skills. Visit shop.lego.com to learn more! 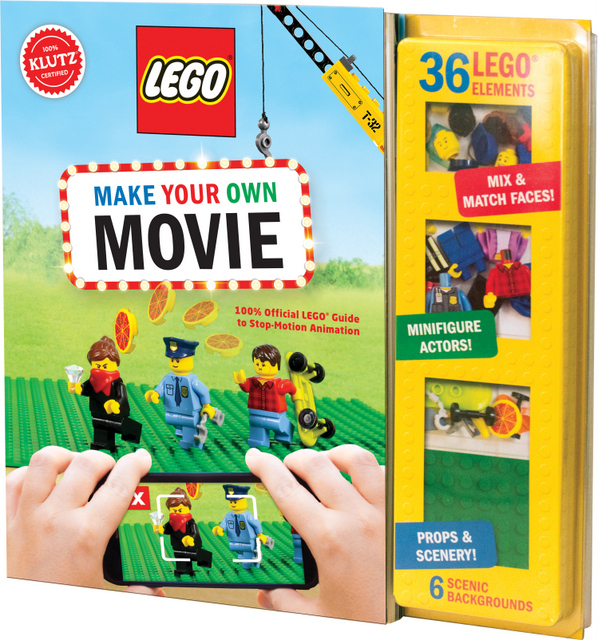 Klutz has new titles in their book-based activity kits including LEGO Make Your Own Movie. Bring your favorite Lego mini-figures to life with this beginner guide to stop-motion animation. Create short, funny clips on a phone or tablet using six backgrounds and thirty-six LEGO elements. Visit Klutz.com to learn more! 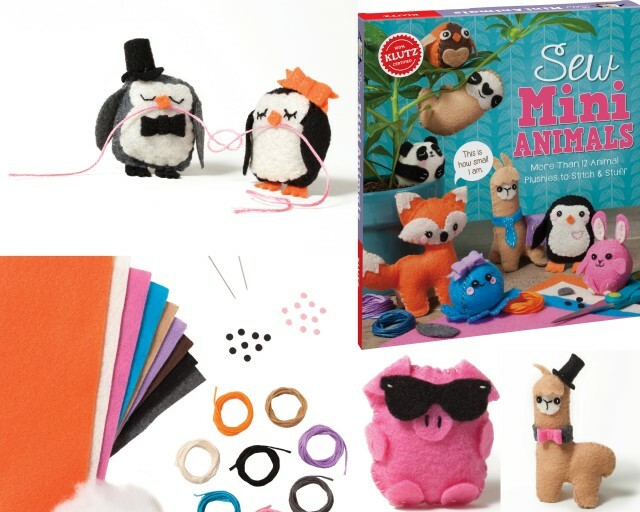 A follow up to Sew Mini Treats is Sew Mini Animals that lets you stitch and stuff an assortment of fuzzy animals from felt. These mini plushies deliver full-size fun and everything you need to make up to 14 animals is included. Add extra accessories like hats, bows, and glasses to personalize your animals. Visit Klutz.com to learn more! 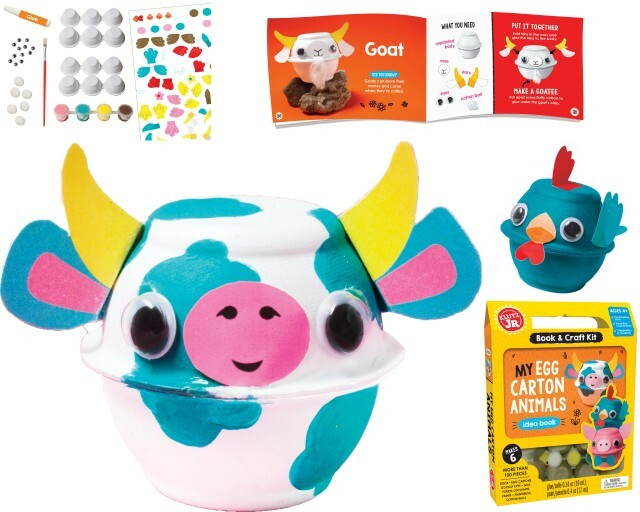 From the all-new Klutz Jr. line for preschoolers, My Egg Carton Animals lets kids transform specially made egg cartons into 6 barnyard animals. Fun animal facts throughout the book give an added giggle as kids paint and add googly eyes, cotton balls, and precut accessories to make their very own farm animal friends. Visit Klutz.com to learn more! 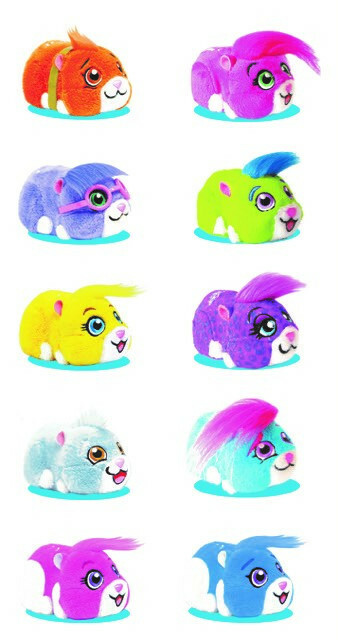 Spin Master is reviving ZhuZhu Pets from their launch in 2009 with over 20 new Zhu’s to collect! Each little hamster has a special hidden talent to discover. With their unique personalities and unpredictable behavior, Pipsqueak, Mr. Squiggles, Num Nums and Chunk love to zoom around, dance, talk and even sing. Make sure to check these cute guys out at ZhuZhuPets.com! 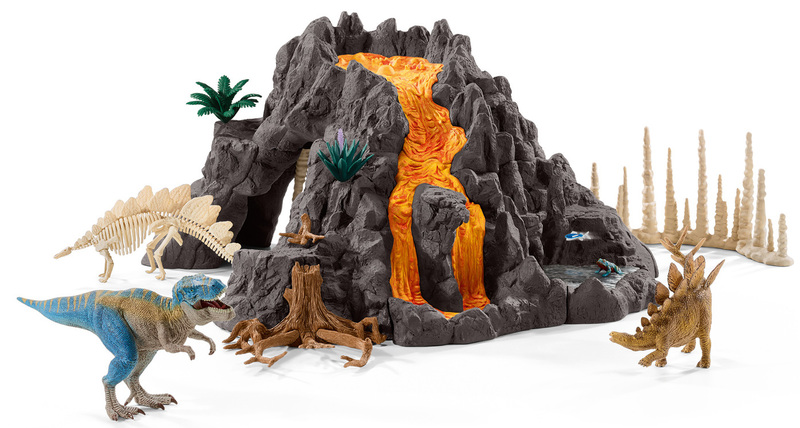 Kids can have hours of fun with the Giant Volcano with T-Rex from Schleich Dinosaurs play world. Press the skull to release the stalactites, set the dinosaur trap, or hit the large stone to see the fossil puzzle erupt from the side of the volcano. This playset encourages your child to explore the exciting world of dinosaurs with over 30 additional dinosaurs to collect. Click here to learn more! Following the collectability trend, Whiffer Sniffers have become the “It Toy” for kids who collect. The new Series 4 will be introduced this year including Sour Saul, and May B Minty that kids clip to their backpack or sports bag. They smell like everything from popcorn to jelly beans! 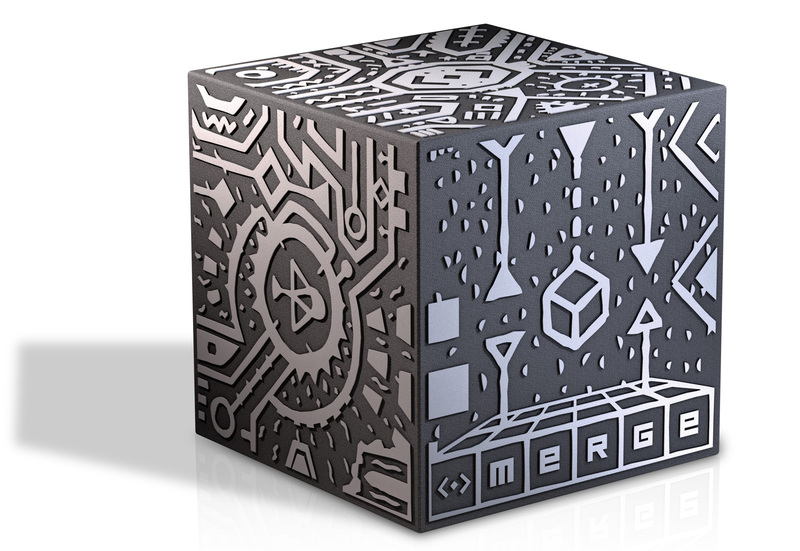 Or take a chance with this mystery package to find a rare special edition character. Visit WhifferSniffers.com to learn more! Celebrating its 20th anniversary this year, Aeromax Toys brings imagination to life. 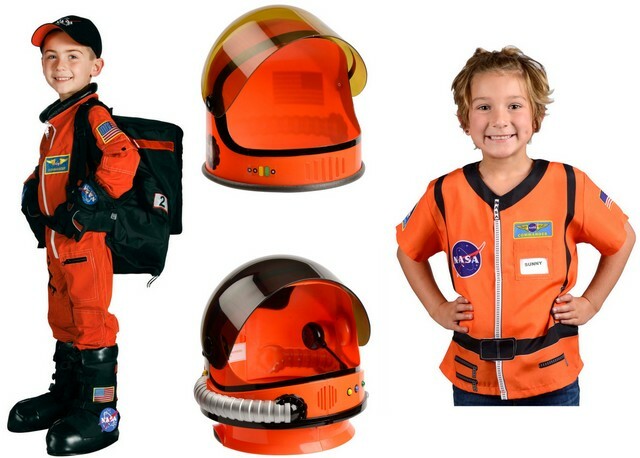 The Get Real Gear, My 1st Career Gear Tops, and accessories lets kids pretend to be firefighters, astronauts, chefs, and more. Pretend play inspires kids to dream big and helps build self esteem in their developmental years. They are known for their quality and durability, along with an affordable price. Visit AeromaxToys.com to learn more! 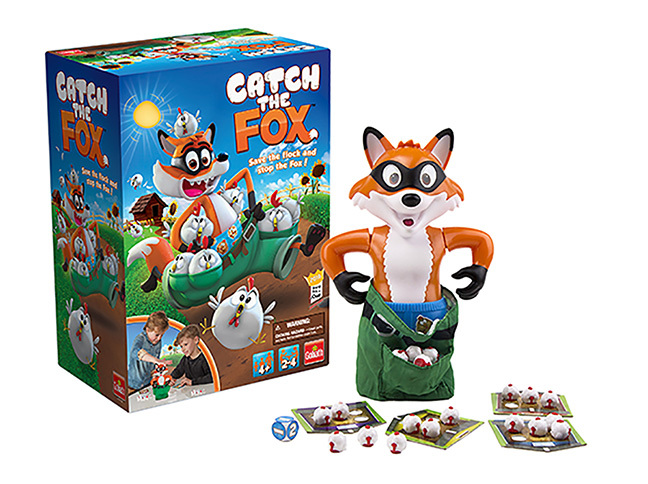 Toy Fair New York kicks off this weekend and I’ve got a sneak peek at some of the coolest toys and games for 2016. LEGO continues to be a leader in the construction category and are expanding the LEGO DUPLO line with “My Firsts” sets, like My First Catepillar and My First Rocket. These DUPLO bricks are four times the size of classic LEGO bricks, and are sized for little hands to introduce children as young as 18 months old to the world of building. They make learning fun by encouraging early counting skills with special decorated bricks and come with building cards for more inspiration. Learn more here. Parents are always looking for ways to get kids outdoors. 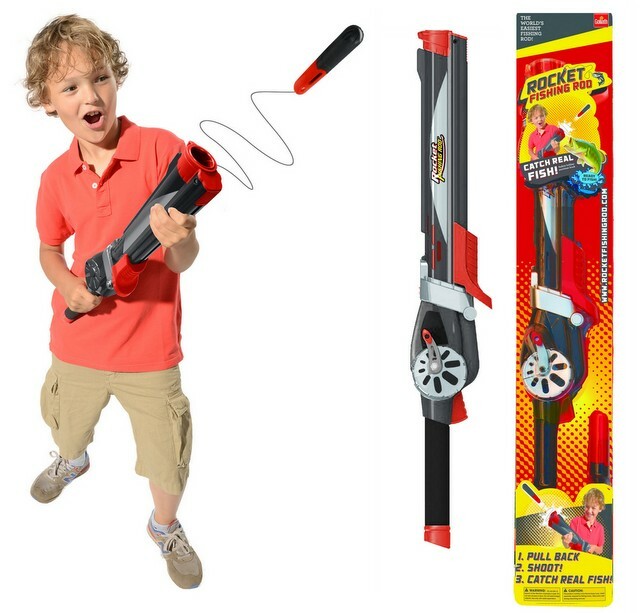 The Rocket Fishing Rod from Goliath makes fishing fun and more enjoyable for both parents and kids. Kids pump, launch and reel in the fish all by themselves! This fishing pole shoots the bait 25 feet so no casting is needed. The included safety bobber protects the hook safely until it hits the water, so all kids catch are fish. Ready to use right out of the box. Click here to learn more. 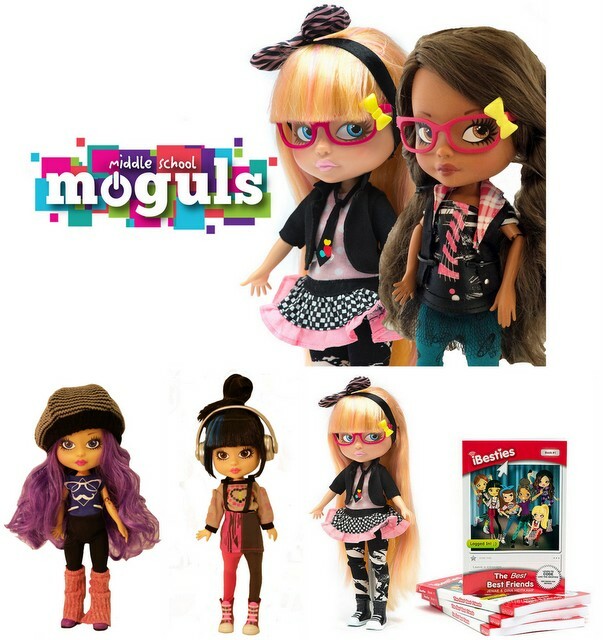 This new collection of dolls and books introduces the Middle School Moguls. It follows the story of five unconventional girls who attend Mogul Academy, a school for the brightest kidpreneurers of today. The books, entitled “You Be the Boss”, lets them choose their own adventure, with four different endings. It teaches kids about entrepreneurership and technology. These dolls encourage girls to explore modern careers. In stores this August, and is available for preorder here. 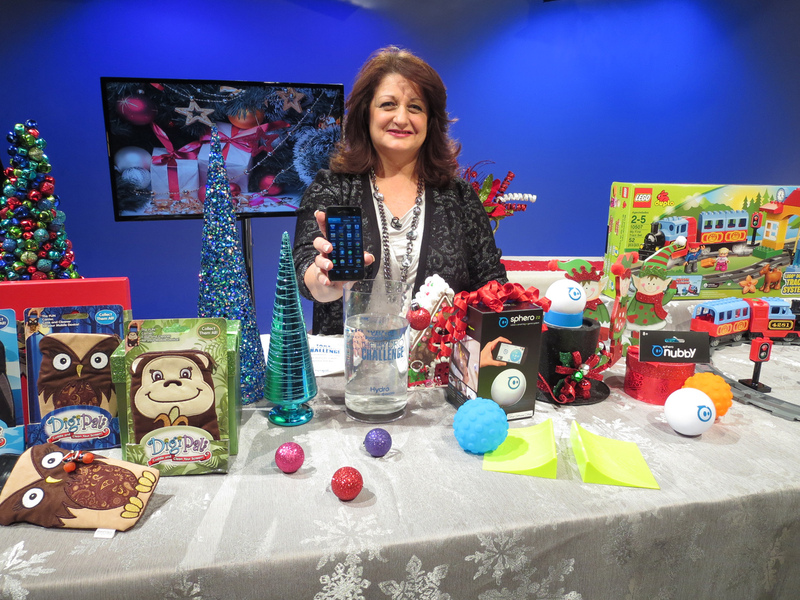 Aurora World is a global leader in plush toys, with over 3,500 original creations from alligators to dolls to zebras. These adorable guys are called Gnomlins. They come with colorful oversized hats, noticeable noses and fluffy white beards. 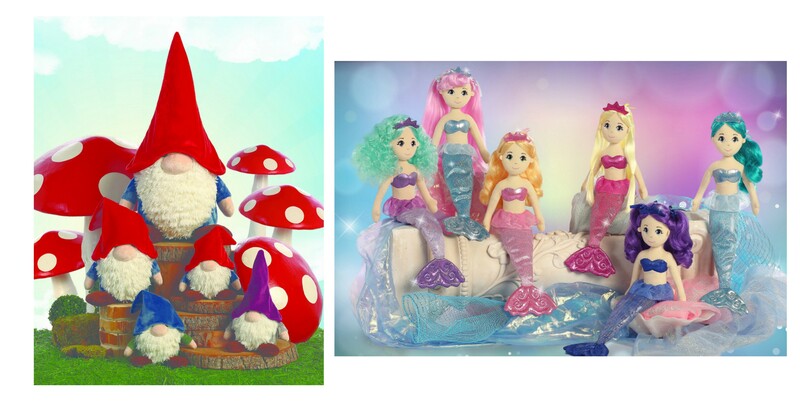 This summer, children will love making friends with the Sea Sparkles mermaids. These six adorable sirens of the sea feature hair colors from blonde to pink to turquoise with sparkly matching or contrasting tails. Click here to learn more. GameStop is THE PLACE to help find and purchase your favorite gaming and tech items affordably and simply. They have deals on games of all kinds and for all systems for everyone in the family including the best-selling LEGO Marvel Avengers video game! Play as Captain America! 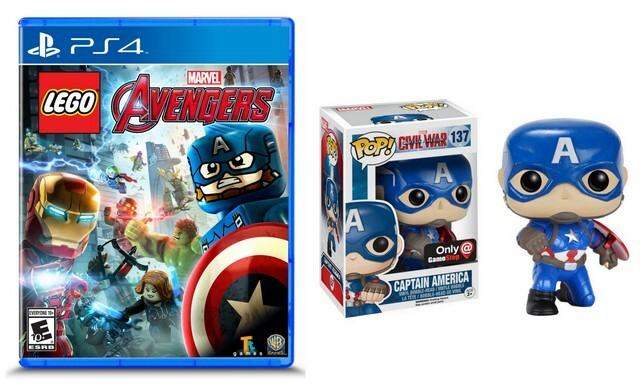 Also, add Captain America to your collection with this Pop Vinyl bobblehead figure! 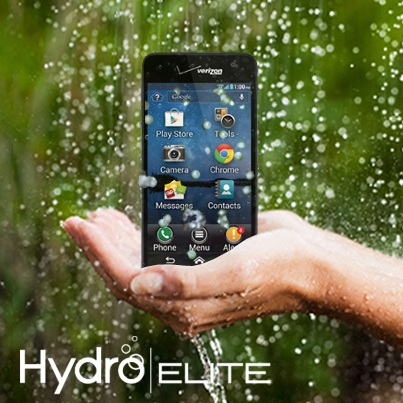 Visit the GameStop mobile app, website or stop in at over 4,200 locations. Click here to learn more. From ThinkGeek, a ThinkGeek creation and exclusive, it’s the Hoverkraft Levitating Construction Challenge. Hoverkraft is an old-school building game with a twist: Players take turns stacking pieces on a platform… that levitates! Click here to learn more. It’s that time of year again, those dreaded words, BACK TO SCHOOL! 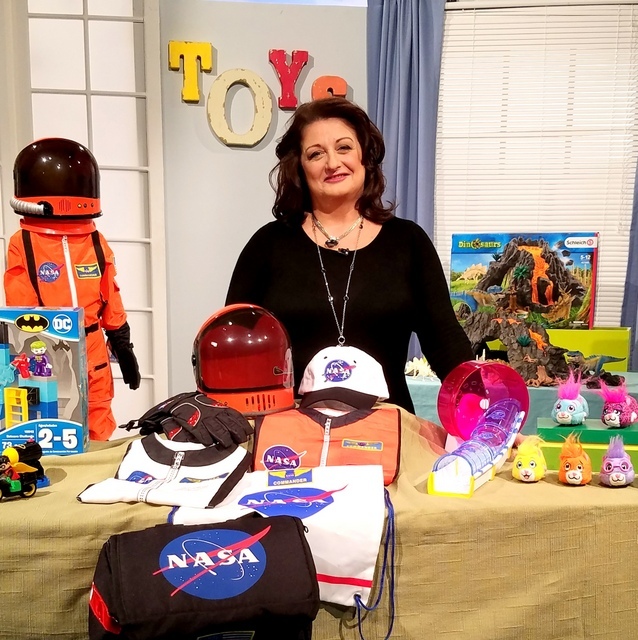 That doesn’t mean the fun has to stop, kids can learn AND have fun with these neat items our Toy Trend Expert Reyne Rice has found. 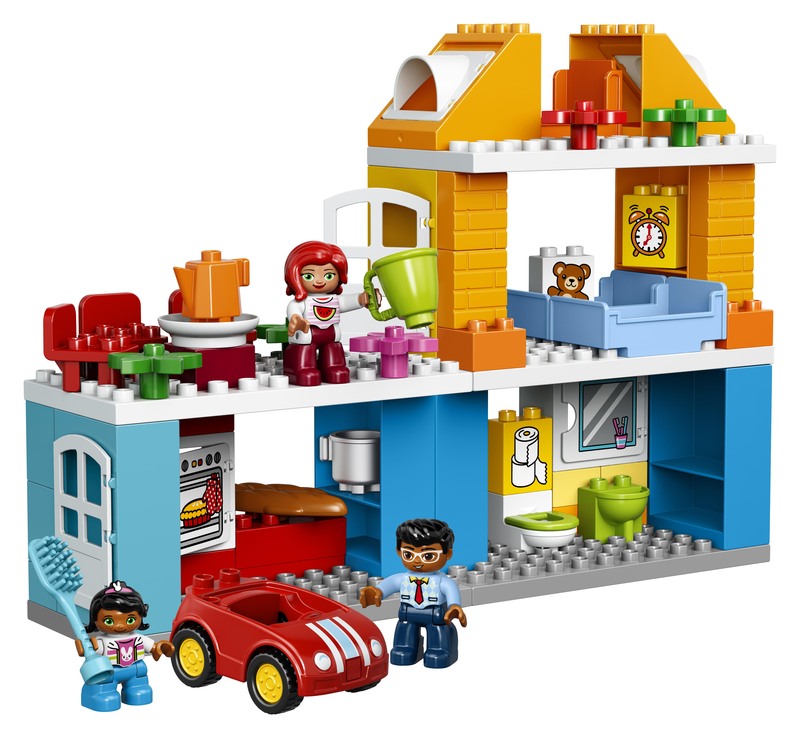 Give your pre-schooler hours of entertainment with the LEGO DUPLO Deluxe Box of Fun! This set makes the perfect introduction to building with pieces designed specifically for little hands and can be built by the kids themselves. With 95 pieces of classic and special DUPLO bricks, this set can teach counting with the decorated number blocks and inspire role play with the DUPLO figures, opening up a world of imagination and creativity for your child. Learn more about LEGO DUPLO here. LEGO Juniors are tailor-made to transition young builders to classic LEGO brick building. 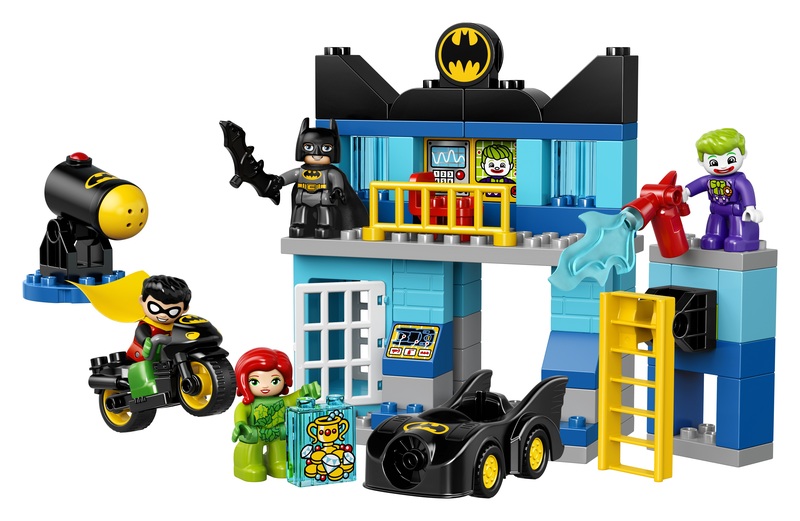 This Easy to Build set, LEGO Junior Batman: Defend the Batcave, includes modular pieces such as walls and archways for quick brick builds, a vehicle and three mini-figures: Batman, Robin and the Joker. 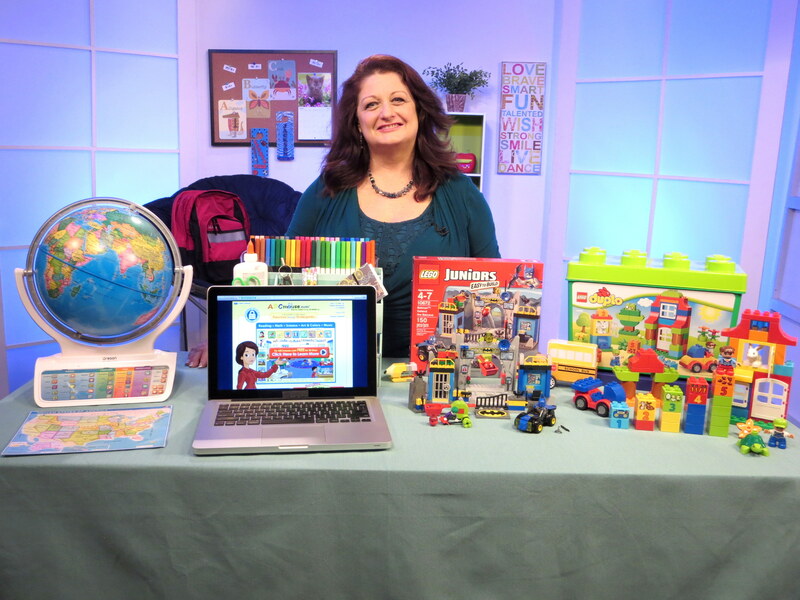 Kids develop math and logic learning PLUS storytelling for developing language skills. Step-by-step storybook instructions and photo inspiration get young builders started. 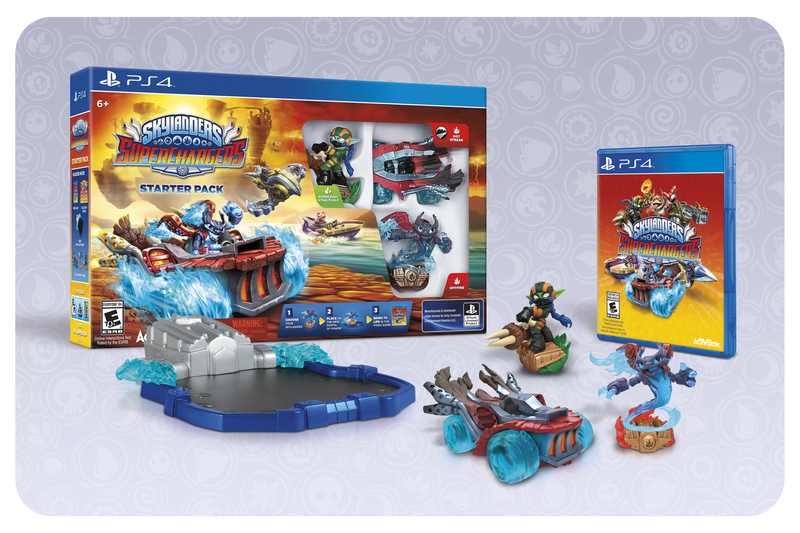 Learn more about LEGO Juniors here. Kids love being active and keeping their brains engaged also prevents them from getting bored. 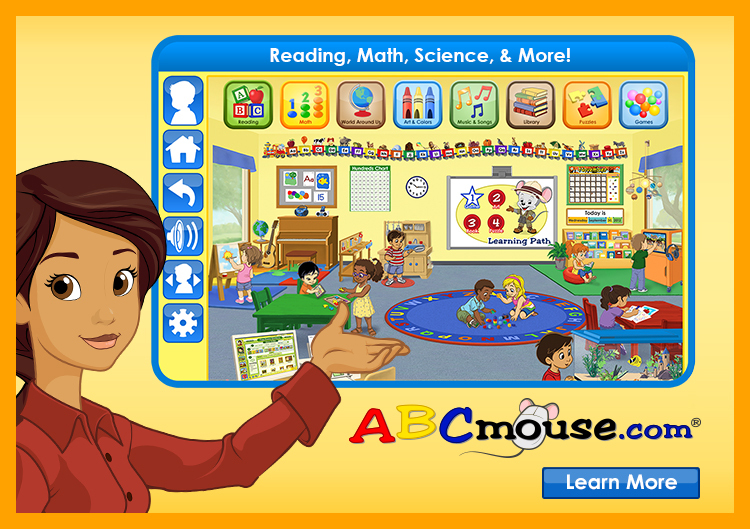 ABCmouse.com Early Learning Academy is an award-winning educational website for kids ages 2 to 6. 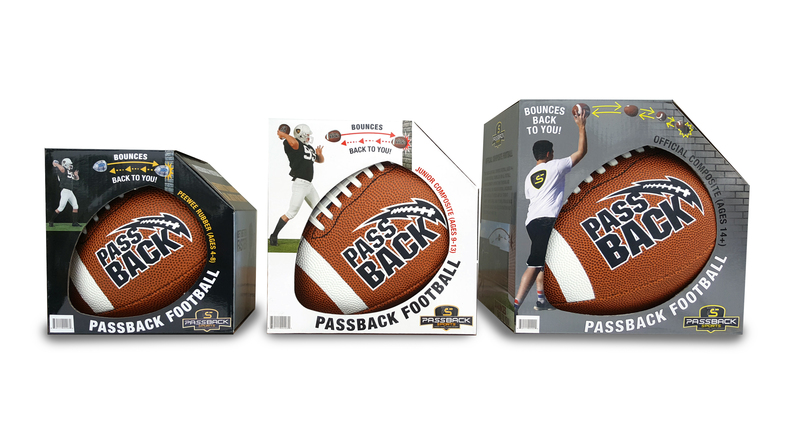 Developed by teachers and learning experts, this site has over 5,000 skill-building activities to provide hundreds of hours of fun .. that means kids will actually WANT to use it! The Step by Step Learning Path customizes the experience for each child, allowing them to build self confidence by learning at their own pace. It can be accessed from computers and most mobile devices, anytime – anywhere. It’s a 100% educational and safe online environment, with no advertising or links to other websites. Find out more about enrolling your child at ABCmouse.com! Becoming a global citizen is important and Oregon Scientific is a leader in creating global learning tools. The SmartGlobe Infinity opens up the world with the touch of the Smart Pen. Kids will learn history, fascinating facts and global knowledge using the Bluetooth wireless talking Smart Pen to guide their experiences with dozens of fun interactive games and challenges. 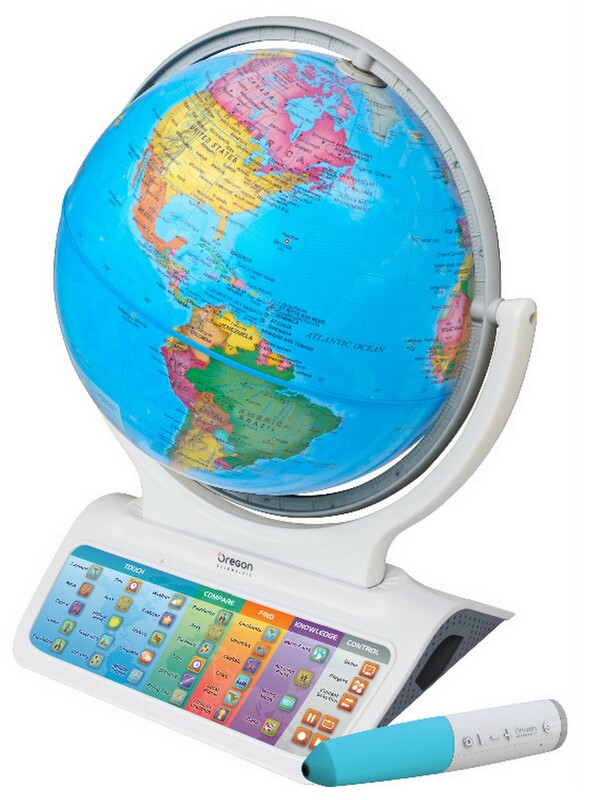 This SmartGlobe is constantly updated online, providing an ever current view of world content. 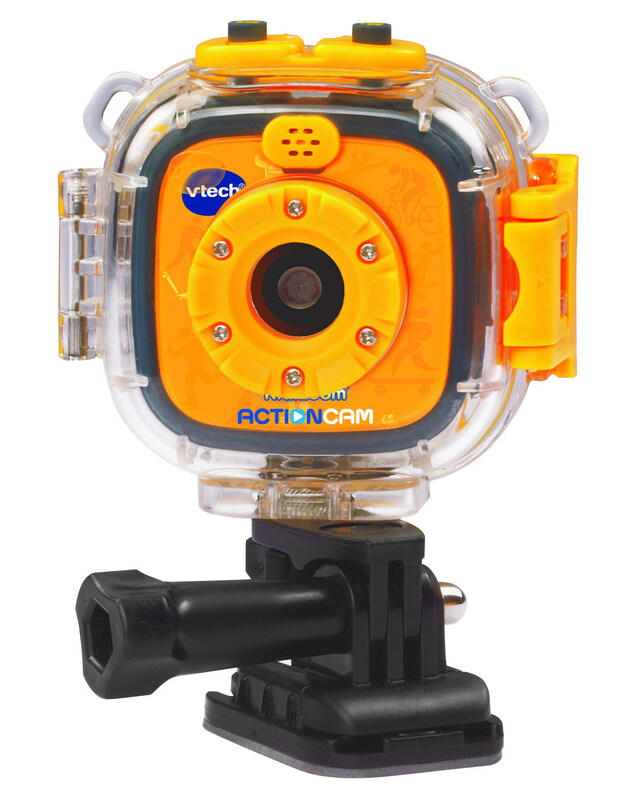 Learn more about the SmartGlobe Infinity here.